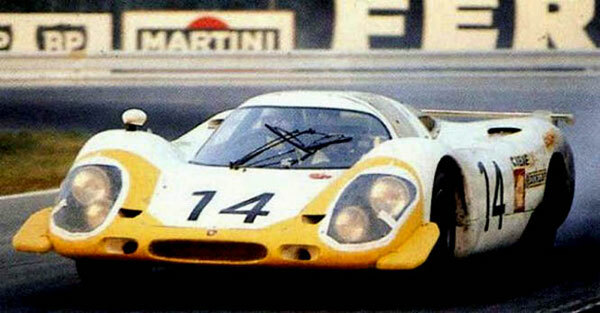 The 1969 Porsche 917L is an amazingly beautiful automobile, yet Porsche System Engineering was trying to go for a signature look, which failed. I’m trying to understand the logic of having a white car with a dull yellow front and tail. I will say that the door numbers look better on the car, instead of on a circle. I like the shade of yellow, but if the whole car were painted with this shade of yellow it would get a grade higher than a B+.